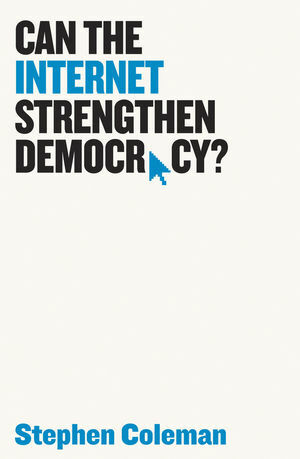 From its inception as a public communication network, the Internet was regarded by many people as a potential means of escaping from the stranglehold of top-down, stage-managed politics. If hundreds of millions of people could be the producers as well as receivers of political messages, could that invigorate democracy? If political elites fail to respond to such energy, where will it leave them? In this short book, internationally renowned scholar of political communication, Stephen Coleman, argues that the best way to strengthen democracy is to re-invent it for the twenty-first century. Governments and global institutions have failed to seize the opportunity to democratise their ways of operating, but online citizens are ahead of them, developing practices that could revolutionise the exercise of political power.